Phil's Forum for Independent Retailer Success: Is This the Right Price? I just published my third book. Welcome to the Club, Daddy is a book for expectant fathers based on the class I have been teaching twice a month at our local hospital for the last ten years. It is a funny, yet practical guide for new dads that helps them learn how to change a diaper, deal with a crying baby, understand what their wives are going through and how to support them, and addresses the top concerns most new dads are feeling. The book is a hardcover that sells for $17.99. I chose $17.99 for a number of reasons based on my Pricing for Profit eBook. When the perceived worth of an object meets the actual price, the item has value. This book, based on its size and being a hardcover, fits in the $12.99 to $19.99 price range. Most other books this size fall into that price range. Fiction tends to range a little lower, business books a little higher. The better known the author, the higher yet. Self-help falls somewhere in the middle. So just on size/style alone, we can narrow down the price to the $14.99 to $17.99 range. Two factors raise the perceived worth of this book. First, it will primarily be bought by women for their husbands/sons. They perceive a greater need for this information which raises the perceived worth. Second, this will primarily be bought as a gift, which also increases the perceived worth. We will spend a little more on a gift for others than we will on ourselves. People also make calculations based on the actual bill they have to pull out of their wallet. Believe it or not, but $14.99 and $17.99 are both basically the same price to a customer. Both are a "twenty dollar item". Since there is little distinction between the two, take the highest number that fits into the Value Equation. Numbers themselves have stigma and perception. We generally do not like the numbers 0, 3, or 6. Zero is lonely. Three conjures up unlucky thirteen. Six six six is the sign of the devil. Prices like $13.99 and $16.99 just don't look as attractive as $14.99 and $17.99 for subconscious reasons. Numbers like 5 and 7 are okay. Thanks to Las Vegas, sevens are considered lucky. The Value Equation says the price range is $12.99 to $19.99. Being a Self-Help book narrows that to $14.99 to $17.99. Being a gift in a category with high perceived worth suggests the upper limit. The 5-10-20 Rule says that there is little perceived difference between the lower and upper prices so it also suggests the upper limit. The BOGG Rule says that sevens are okay numbers, definitely better than fives or sixes. Therefore, the suggested retail price is $17.99. PS For more on rules that govern pricing to help you pick the most attractive price for the items you sell, download the free eBook Pricing for Profit. PPS Those who have read Welcome to the Club, Daddy all agree - that price is way too low for the amount of information given. 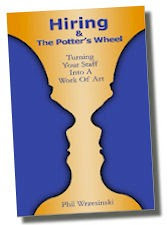 PPPS If you would like to sell this book in your store, contact me for wholesale prices. Margins are great, terms are generous, and this book is not sold on Amazon.